Hey all, with the help of some friendly folks in #kontact I was able to get mail/calendar set up and working in kontact today. I previously had some bad settings in akonadi from my last attempt a few months (maybe a year?) back. and clearing .config/akonadi helped alleviate that problem. Since I've been using an android phone lately much of my calendar and mail stuff is on google services, so naturally I wanted to sync my calendar, contacts, and mail with google. Fortunately this is all possible, unfortunately it's not all that clear how to set it up. So here's a quick walkthrough for future reference. Lets look at the tricky one, calendars. To add a google calendar to your korganizer you just need the caldav address which you can get from the calendar's settings like this. You can finally put in your url (combine the google calendar url with your calendar's address) and enter your username (foo@gmail.com) and hit the fetch button. 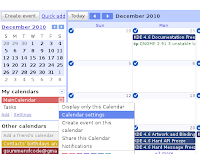 After entering your username again (not sure why it doesn't take the one you already set) and password you are able to choose your calendar and add it to korganizer. You need kdepim and kdepim-runtime from master. 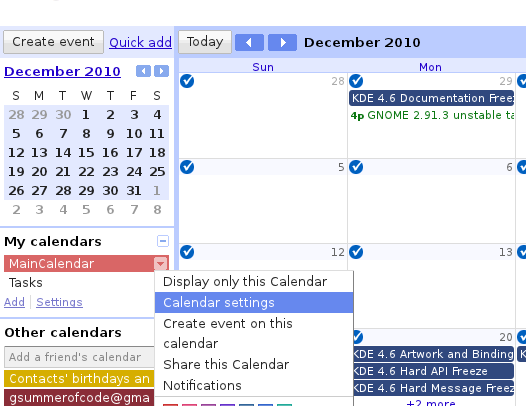 Like "Add a google calender", "Add a #vendor calender" "add..." - you get the Idea. And if the default venders do not match it, lets make a "others" button for the current process. Anyway it has to be simplified. how do you get the gmail contacts to sync with kaddressbook? 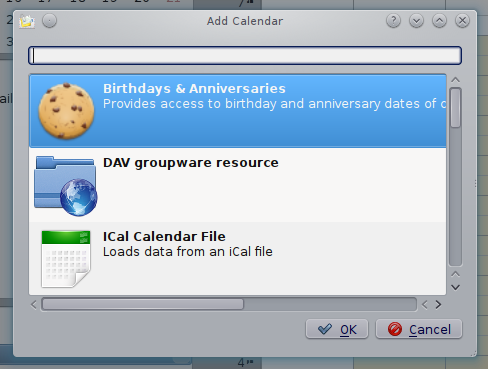 So I suppose the advantage of CalDAV is that the calendar is in read-write access? Can you synchronize the tasks too?? Worked for me while I was in session, but the calendar disappeared once I logged out. Anyone have a clue why?